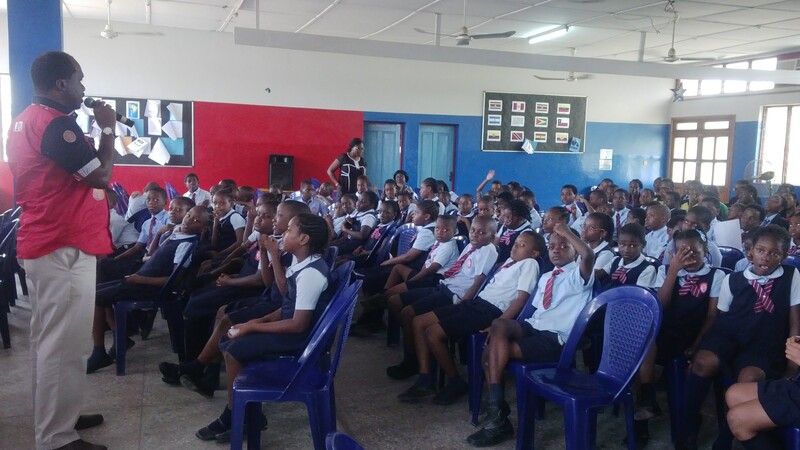 We had another global money week talk but this time we went to Childville school in Ogudu. The Childville students were a wonderfully interactive and intelligent variety of student. They answered every question with verve and understanding. They waved their hands in the air often and boy were they glad to see Ajapa! The talk began with an enlightening introduction from Mr Ladi Smith, the Director of Credit Awareness. He introduced the Global Money Week concept to the children and explained to them the value of learning about money. He was closely followed by Mr Aminu Mohammed of the Central Bank of Nigeria (CBN) and Mr Mohammed was able to give his own unique insight into the world of finances. Credit Awareness took the mic again and Mrs Nneka Eneli was able to have a very exciting question and answer session with the students. She asked them questions about where one could invest money, what the difference was between a private company and a public company, the different financial institutions and so on. Then Professor Wise took the stage and gave a fun message regarding the earning of money. He began his address with a song which was familiar to the students of Childville as they quickly joined in! Ajapa danced in to the hall during the song and entertained the children and youth. Prof Wise then asked the students what age they felt a child could begin to earn money. Many responded with 18 years, 20 years but finally (after a possible hint from Prof) a student suggested the age 10. He then asked them the ways in which they felt they could earn money, this was met with varying answers such as selling goods in the market or doing chores. Professor Wise encouraged them to do chores for their parents in order to earn some money. After this he asked questions about Ajapa the tortoise and his friends; for every right answer, the student was presented with a tortoise bank and a reward journal. Mr Smith wrapped up the talk, indicating the many exciting plans that Credit Awareness and Ajapaworld have regarding financial literacy. 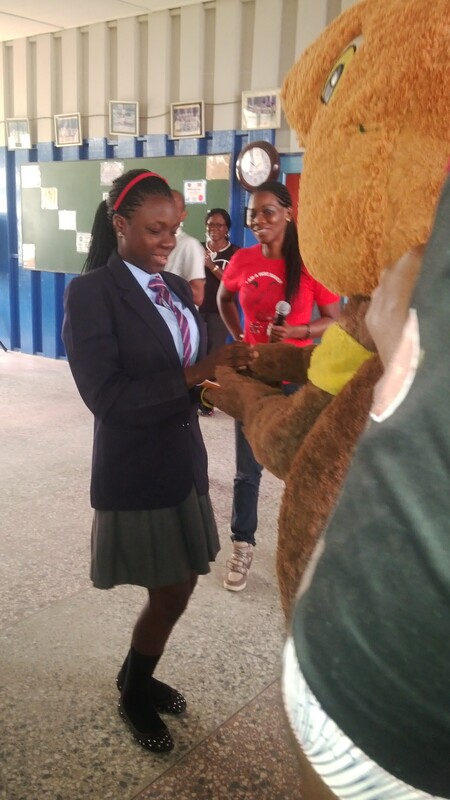 Following which, Credit Awareness distributed snacks, drinks and booklets for the students and the students shook Ajapa’s hand as they trooped out the hall. Another successful Global Money Week event!